Life just got a little sweeter. 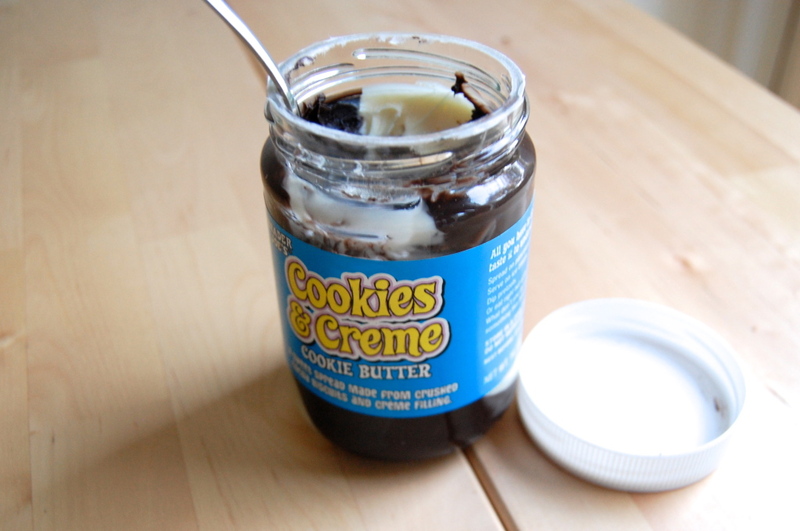 This past week, Trader Joe’s did something amazing: it released a new flavor of Cookie Butter. Instead of sticking with its usual cookie of choice, the Speculoos, Trader Joe’s used another store favorite: the Joe-Joe’s. For those of you who don’t know what Joe-Joe’s are, they’re basically Trader Joe’s organic version of Oreos with flavors ranging from seasonal ones (like peppermint) to original ones such as “Chocolate with Vanilla Bean Cream,” which is the flavor used in the new “Cookies and Creme” Cookie Butter. After I discovered the new flavor Monday night, I immediately ran to the store to buy it. Spreadable Oreos–it’s a dream come true. The first thing I noticed was that it did not look like the other Cookie Butters. Instead of the familiar golden brown color of the Speculoos Cookie Butter, the jar was filled with alternating bands of deep brown and creamy white. Staring into the opened jar with a spoon in hand, I decided to conduct a proper taste test (instead of consuming it like a starved animal, as I was initially temped to do). I tried the two flavors individually to get an understanding of each. The chocolate portion tasted exactly as you’d expect: slightly crunchy with a cocoa powder flavor reminiscent of the cookie portion of a Joe-Joe. The white portion was the sweet complement to the chocolate band: completely smooth, like white chocolate melted and creamed. Although amazing on their own, I prefer the two flavors blended together. The light and smoothness of the crème filling perfectly balanced the heaviness and crunch of the chocolate–the resulting sensation sent my tastebuds to heaven. 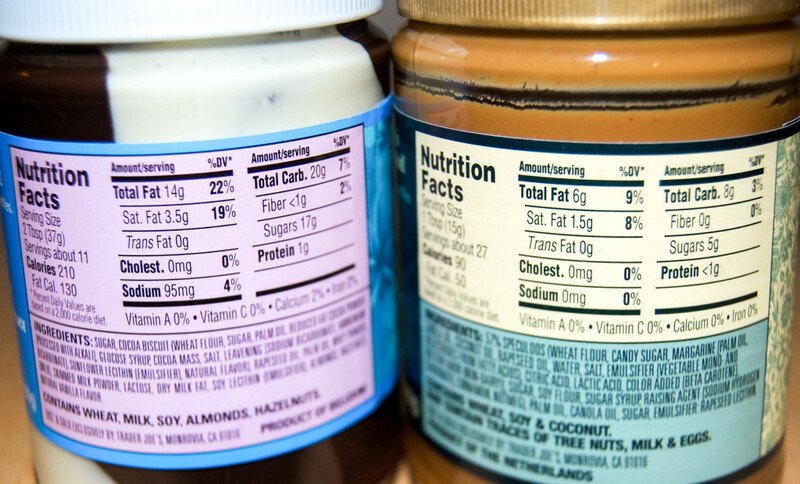 Now for the bad news: the new flavor may not be the most nutritious thing for you. Compared to the original Cookie Butter, which has 90 calories per tablespoon, the Cookies and Creme Cookie Butter has 105 calories per tablespoon. In addition, the new flavor has about twice the sugar and sodium content. But who cares? 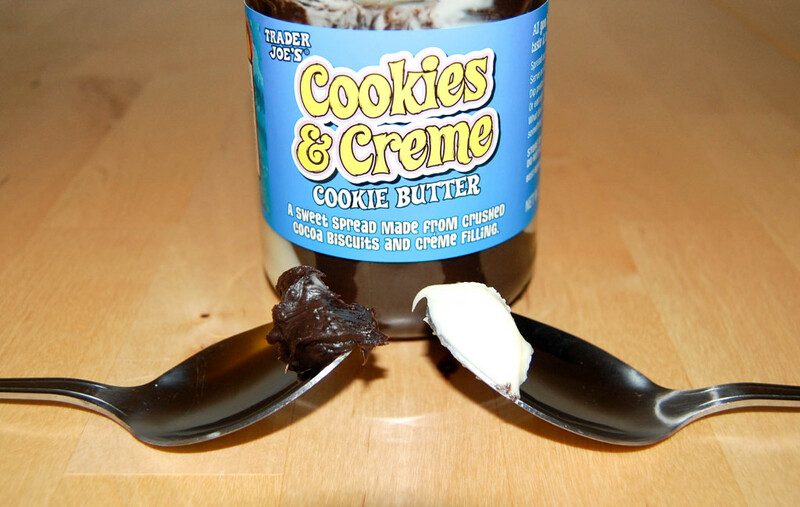 It’s Cookies and Creme Cookie Butter for goodness sake! You didn’t buy it to be healthy; you bought it to be happy, and happy you definitely will be.